I confess. Vanilla Bean Paste was not on my radar until two weeks ago. Linda gave me this jar as part of a bag full of goodies that she surprised Juliette and me with during our "sistercation" in Las Vegas. I packed it in my luggage and home it came with me. Unfortunately, Juliette put hers in her purse and the tasty concoction was confiscated by security at the airport because the jar was larger than 2.5 ounces and not in a quart size ziplock bag. Juliette was crushed. I felt bad because I know better with all the traveling I do, but didn't see Juliette packing her things due to my own haste to get ready to go home. As you can see from the photo, the paste is not quite a paste but a thick liquid. 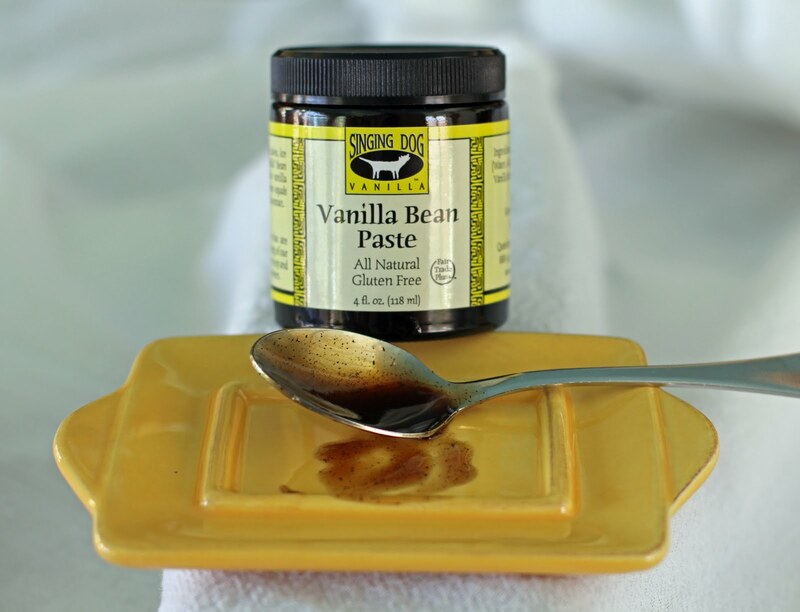 One tablespoon vanilla bean paste equals one vanilla bean or one tablespoon of extract. When added to recipes it tastes as if you went to the trouble of prepearing a vanilla bean. Try it, you'll like it! P.S. For those folks that like to bake (like me), this would be a great gift. Thank you, Linda... you are the best! Friends: Could you tell me where you bought the Vanilla Paste in Niagara Falls?